Be the first to hear about their new releases and deals. 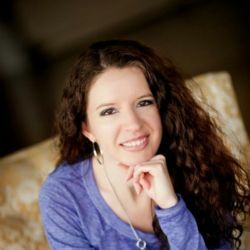 Download the Booksprout app and search for Lindsey R Loucks today! Lindsey R. Loucks is a USA Today bestselling author of paranormal romance, science fiction, and contemporary romance. When she's not discussing books with anyone who will listen, she's dreaming up her own stories. Eventually her brain gives out, and she'll play hide and seek with her cat, put herself in a chocolate-induced coma, or watch scary movies alone in the dark to re-energize.